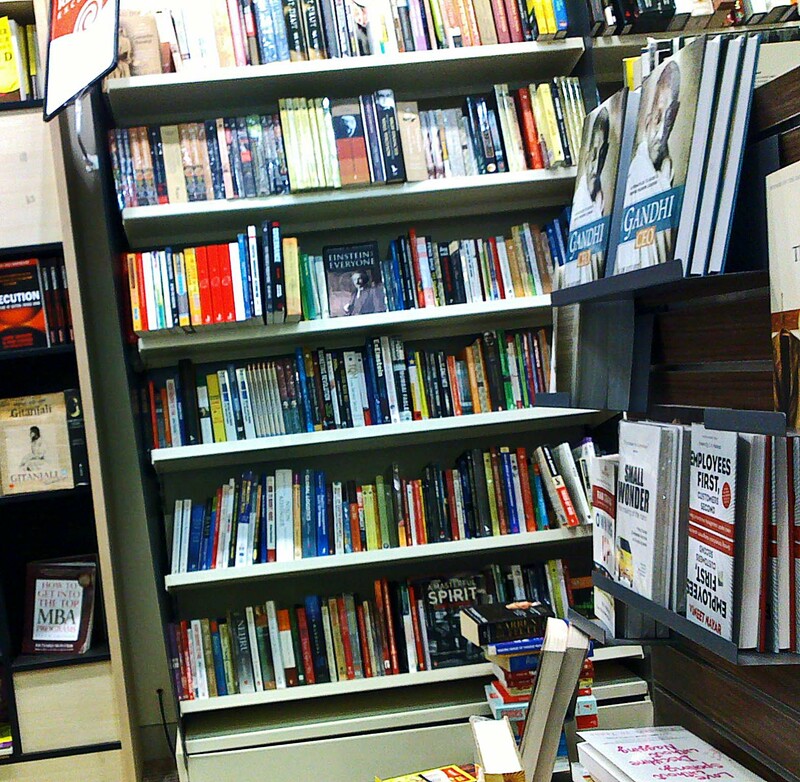 These are images of the inside of a bookshop which sell English Books. 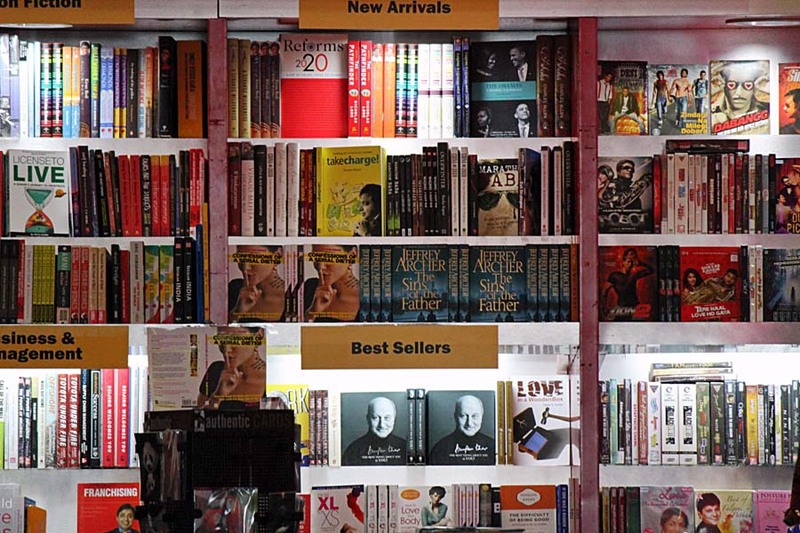 In this section you can see fictional novels of Jeffry Archer and other Best Sellers by Indian authors. 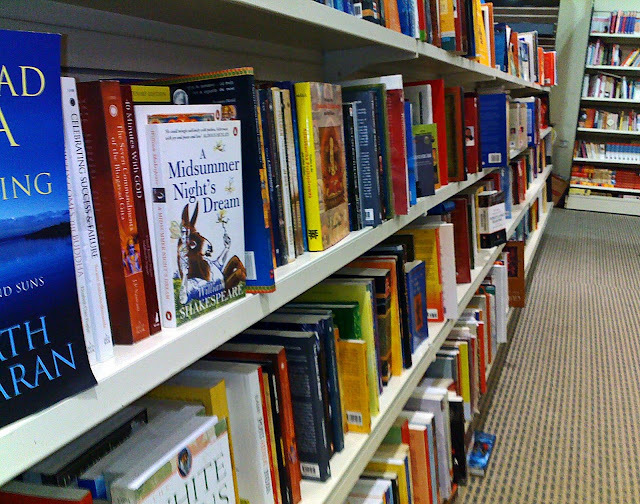 In this image you can see books neatly stacked on shelves. In the foreground are some copies of a book on Gandhi. 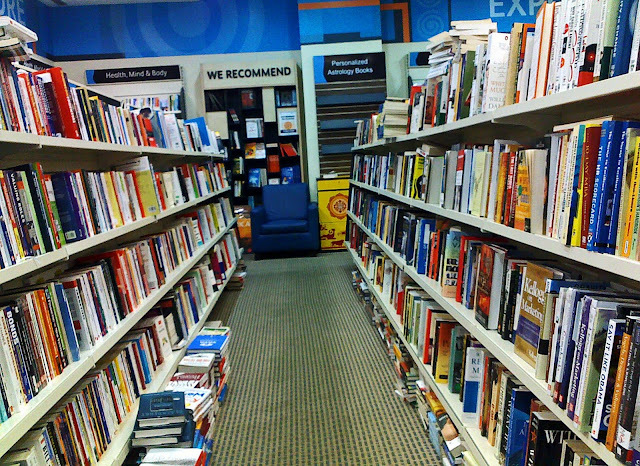 Here is an aisle at a bookshop, with shelves containing books on either side. Another view of a row of books, a close-up. You can read some titles, like Shakespeare's Midsummer Night's Dream.